Last week, hanging around the Bay Area, I paid my first visit to IKEA in many years. I didn’t set myself a $100 budget, but I did intend to buy something, something cute and useful to go in the Teardrop, for old time’s sake. I spent all afternoon walking around that store and didn’t find a single thing. On and on. I walked around and around, looking at everything, in full nostaligia-mode, finding many things I used to own. But I didn’t find anything I needed. Moreover, I didn’t find anything I wanted. I have no place in my life for any of that stuff. I spent $3.50 on a hot dog and soda for my date and an ice cream cone for myself and walked out of IKEA empty handed. After nearly 10,000 miles on the open road in the Teardrop, I’ve never felt so free. 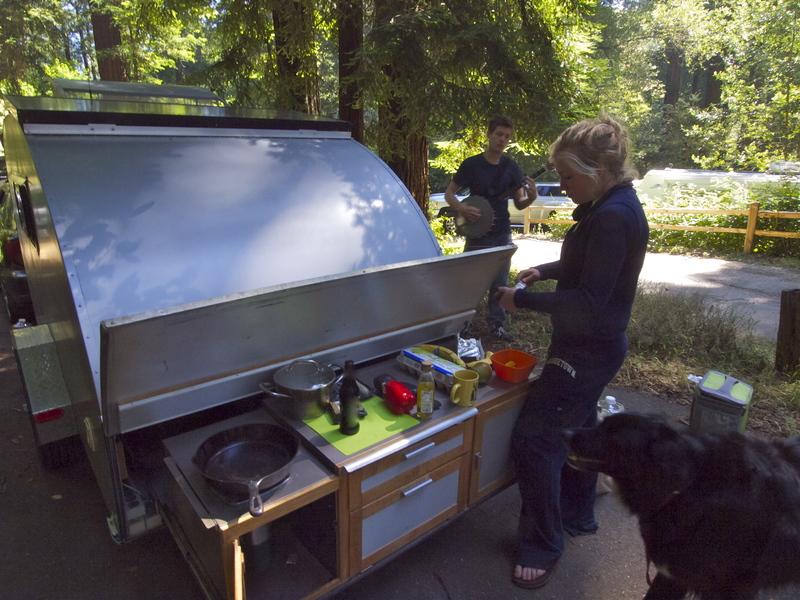 This entry was posted in Road tripping!, Sustainable Living, Uncategorized and tagged consumerism, IKEA. Bookmark the permalink. I absolutely love this post! There’s a big part of me that dreams of your life and freedom from “stuff.” Maybe one day… Keep livin’ the dream! I always get ikea candles. And just bought 2 solar lights – but then like you that’s it – no more room, or even desire…. I did the same thing a few weeks ago here in the south of Sweden (the homecountry of the original IKEA)! Me and my husband moved from a big apartement we didn’t need to a much smaller one and suddenly a lot of stuff was unesscesary! It’s a good feeling! Nice. Reminds me of an story I once heard about an old taoist who now liked to go shopping to see all the things he didn’t want or need. Walked home afterwards feeling good about what he was happy to do without and leave alone. Since right now I’m building a 10×10 cabin for a future home, this is a timely message for me as well. Thanks Mary! reading,from the beginning till the end.10,000 miles to the shining sea and it looks as good as when it left home ,it may be only the beginning of a long journey to come. My thoughts are with you every day. The saddest thing about Ikea ( the third largest wood consumer on the planet) is that a good deal of the furniture is not built for the long haul…particle board stuff just does not last as long as solid wood. Re-purposing a fine antique is much better for the world’s climate. Too true! Good to mention. when our wants agree with our needs- that’s a fine moment. You are most welcome. 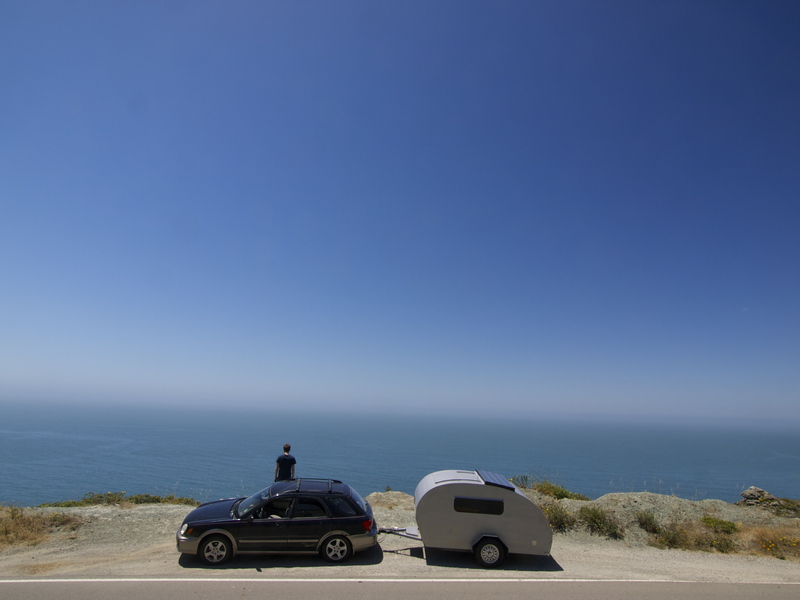 My husband and I get great vicarious pleasure out of reading your blog and would love to travel like you do when the kids are done with high school (but not as RVers!). Keep it up! I LOVE this post! I’ve been intrigued with minimalism for a while now and the experience that you describe is an amazing victory! Thanks for sharing!